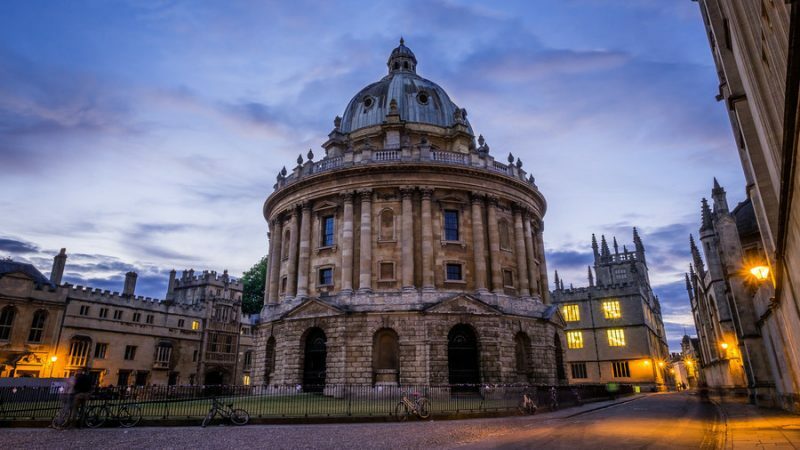 Oxford owes its fame to its prestigious University and specifically to its 38 universities (plus 6 religious ones) that has always characterized the landscape and even life. Since the English town was used as a set for Harry Potter, its fame has multiplied and today a lot of things that are offered in Oxford are tied closely to the wizard. Oxford is a very touristic place and there are so many things to see and so many places where to eat that the following is just a small list to be kept on hand. Oxford can be easily seen by foot enjoying the atmosphere and the palaces. A complete tour of the city would provide input in all colleges but by calculating the time limit and the limits imposed by the colleges themselves, visit all citizens college is virtually impossible. I suggest a walk to explore the city and the visit of the following attractions, choosing whether to enter into them or admire them from the outside. The most important and impressive college of Oxford dates back to 1725 and its reputation now goes far beyond its history since it also has been the stage of some of the most famous scenes of Harry Potter. 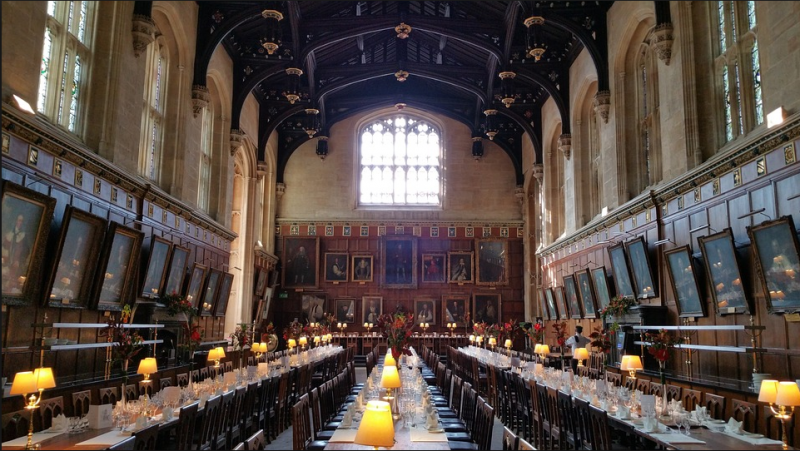 Especially the Great Hall, the refectory, was the model for Harry Potter while for example the staircase at the entrance was used for the filming of the movie. In addition to a rich and imposing exterior with a private park, the bell of the Christ Church College, the Great Tom, plays every night for more than 101 times at 9.05pm to mark the Greenwich Time. In Oxford city centre it is located the Church that is now considered in all respects the city’s Cathedral that stands imposing with its tower, reached by nearly 130 steps, from where you can admire the whole Oxford and when the days are nice also some parts of the Oxfordshire. One of the most famous public libraries in the world, the Bodleian houses the archive of all works printed in England. 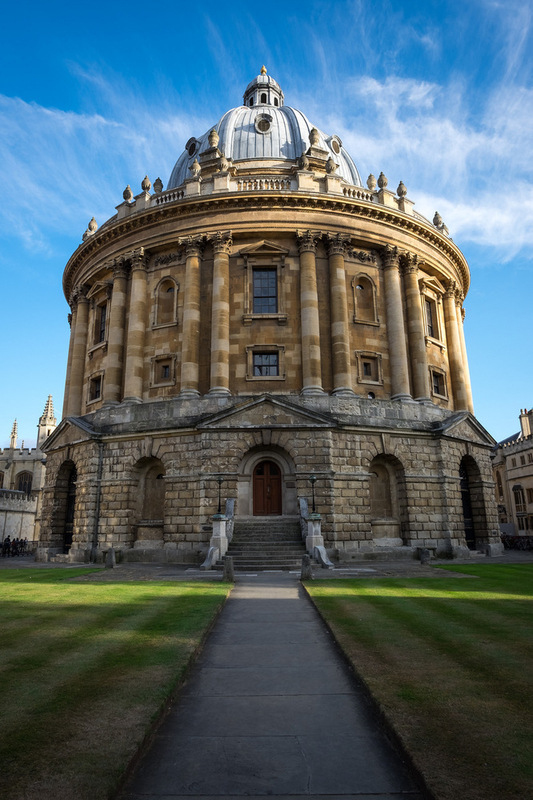 The Radcliffe Camera is part of the Bodleian and it is one of the most photographed attractions of Oxford. Used in Harry Potter as the Hogwarts library, among other things. It was a private library, now it is public. 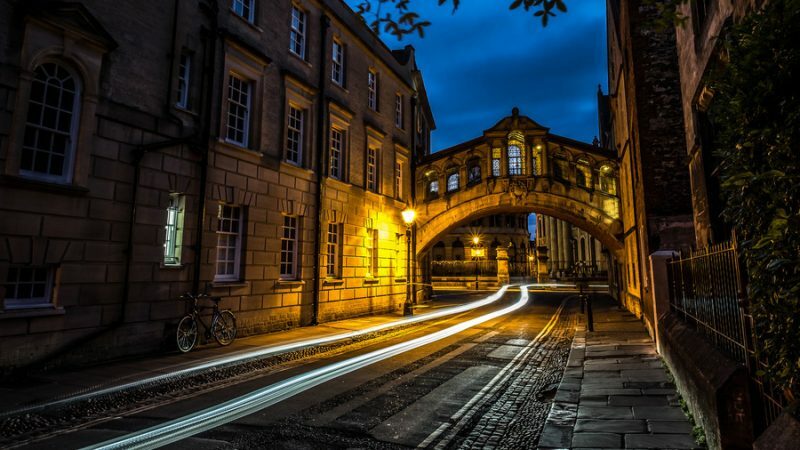 Nestled between the Hertford College and New College Lane, the Hertford Bridge is one of the most photographed things in the city. Remember the Bridge of Sighs in Venice and connects administrative university buildings and student residences. Oxford is full of places where to eat, more or less economic and above all more or less assaulted by tourists. These are some of the options with an excellent quality/price ratio. Open since 1770, the covered market is one of the most visited things in Oxford where to find pieces and local products at very good prices. You can choose among over 40 stalls selling everything but the market’s strong point is its food and wine. 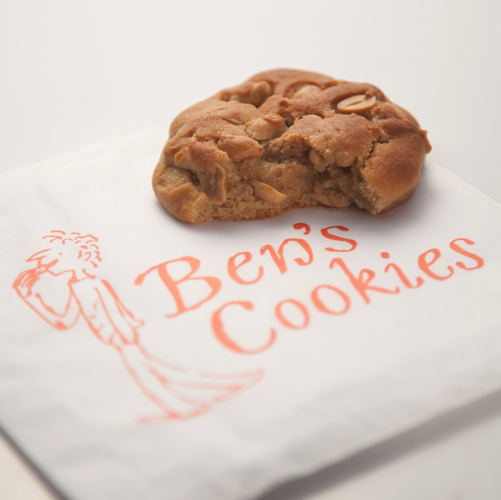 Ben’s Cookies, the British chain of biscuits, began its activities right here: a visit and a tin of butter cookies to take home are essential. The market is open every day from 8am to 5pm and on Sundays opens at 10am and closes at 4pm. A coffee shop and bakery where to stop for lunch or for a coffee + sweet stop; they only serve local products and homemade bread to accompany seasonal dishes that change daily based on availability. Excellent soups and baked sweet products. Pub food of a good quality, craft beers at very low prices and the atmosphere of a university campus: if you are in Oxford you cannot miss Big Society. One of the oldest taverns of Oxford, located in a small alley that opens onto a courtyard, Turf Tavern offers a selection of traditional British food served with cider or local ale. Quite touristy, it is also attended by university students and professors because of its relaxed and old-style atmosphere. Croissants, sandwiches, brunch, and salads: Gail’s is one of the most attractive places in Oxford to those seeking a snack or a more substantial meal without ever forgetting the quality. One of the best restaurants in Oxford, far from the tourists and so much loved by the locals. The location is simply delicious, the food a mix of traditional English cuisine and revisited cuisine. Book in advance. 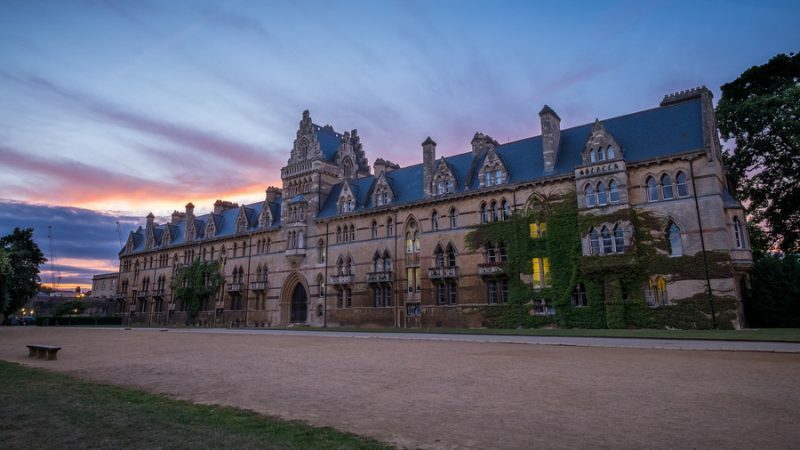 If you’re in Oxford you cannot miss some of the following experiences, to try if you stay at least one night in town. A great site to check before departure and once in Oxford for current events it is the DailyInfo that contains updated information on the city. In the city center, there are lots of bookshops and many of them are very old. If you love books do not miss a walk in one of these to discover both the new arrivals and the classics. Blackwell is the most popular and also sells college textbooks, new and used. 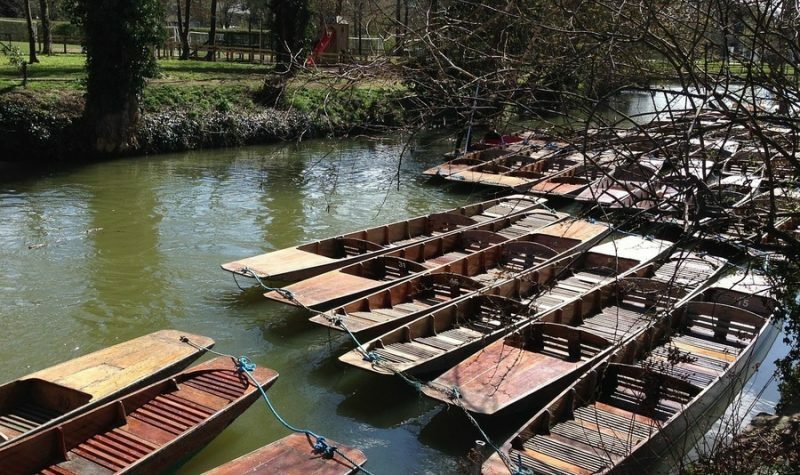 One of the great traditions of Oxford is the punting which means navigate over the Isis (the Thames portion that comes from these parts) using one of the traditional boats with a flat bottom that are pushed using a stick. It’s possible to book a “punter” or an experienced guide that tells anecdotes about the city or rent a boat and try to navigate buy yourself putting into account that punting is an activity that requires commitment and it is not as simple as it seems. Both in summer and in winter there are many plays, almost all of classic and Shakespearean ones, which are staged in Oxford. The shows are held outdoors or indoors and especially in summer many are free and organized by colleges themselves. [All photos have been taken and are owned by Giuseppe. The trip was organized in collaboration with VisitBritain].